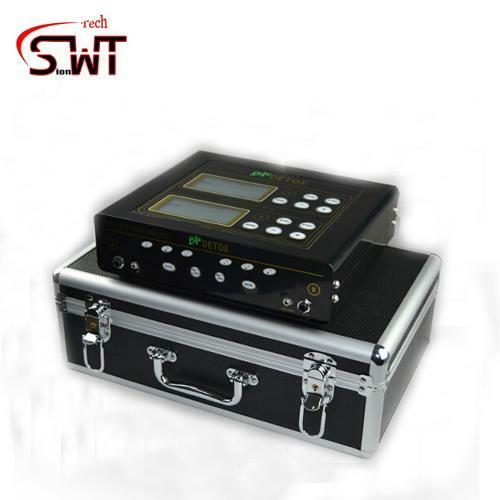 1.Detox foot spa machine,Two biggest dual LCD displays (9cm x 4.5cm). It is unparalleled in global market. 2. Steel house of main machine. Beautiful looking. (Two Choices: Silver and Black). 3. Solid carrying case (Aluminum + black leather). Stronger and Luxurious. 4. Show current curved line on the screen. 6. Voltage: 110V-240V. Can be used in any country. Transformer is in side and voltage is automatic switched. Block 9, Huafeng Industrial Zone ,Fengtang Blvd,Tangwei, Fuyong ,Baoan ,Shenzhen,China.